Railings – Bow Top - Home Ark Fencing, Decking and Landscape Supplies, Swansea. 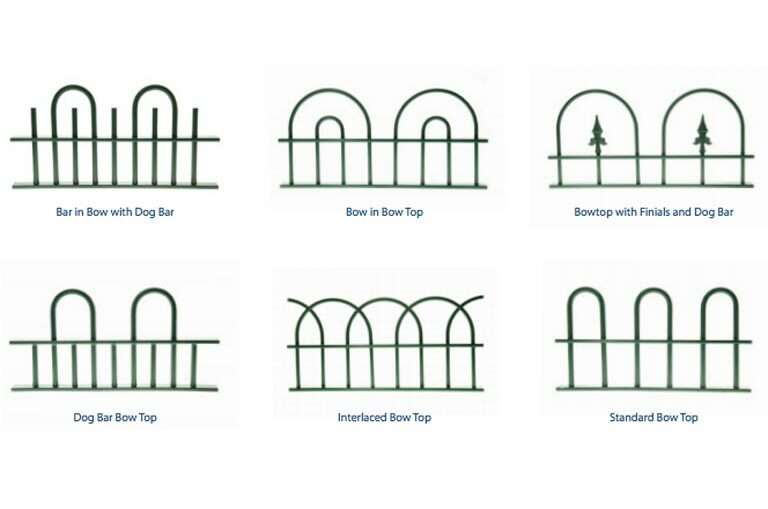 Bow top fencing offers an aesthetic solution for securing and maintaining safety in a wide range of applications. 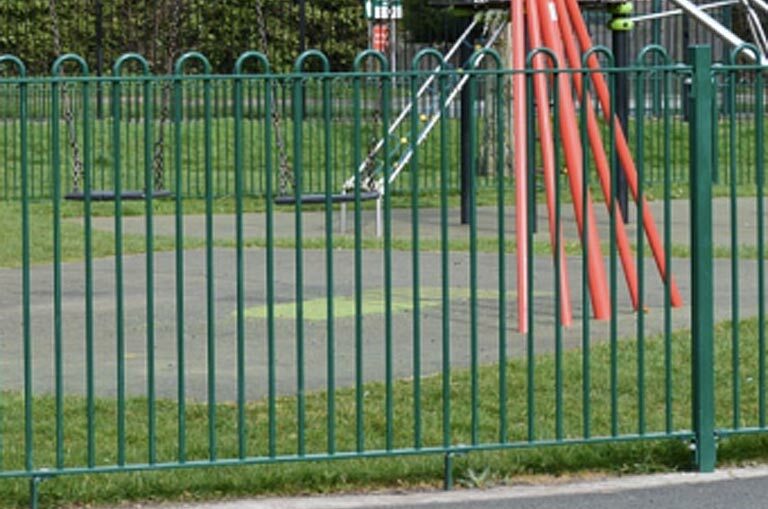 A popular choice for parks and recreation grounds, car parks, gardens, landscaped areas and educational establishments. 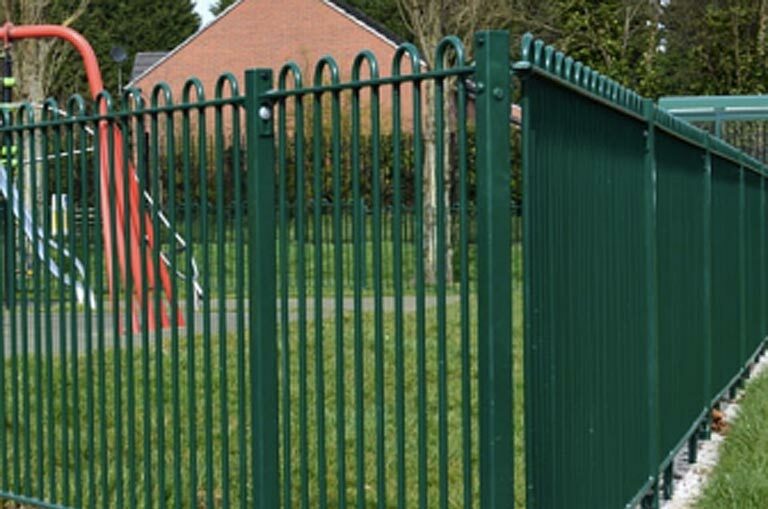 The fencing range can be directly buried into the ground as a conventional post and panel formation, or alternatively we offer wall-mounted versions, designed to either bolt onto the wall or be included as part of the wall’s construction. The bow top product can be specified to meet the requirements of BS 1722 part 9.